When, as bookmakers anticipate, Chelsea secure the Premier League title, many will point back to their 3-0 defeat at Arsenal on September 24 as being the turning point in the Blues' campaign. It was in the aftermath of that reverse at the Emirates that manager Antonio Conte adjusted their formation with a three-at-the-back system and last week's surprise home reverse to Crystal Palace was only their second defeat since that loss to the Gunners. But while that has provided the foundation to allow player-of-the-year-elect N'Golo Kante to dominate midfield and give Eden Hazard the scope to demonstrate the level of skill he showed in his first campaign in England a couple of years ago, it has not been all plain sailing at the back. 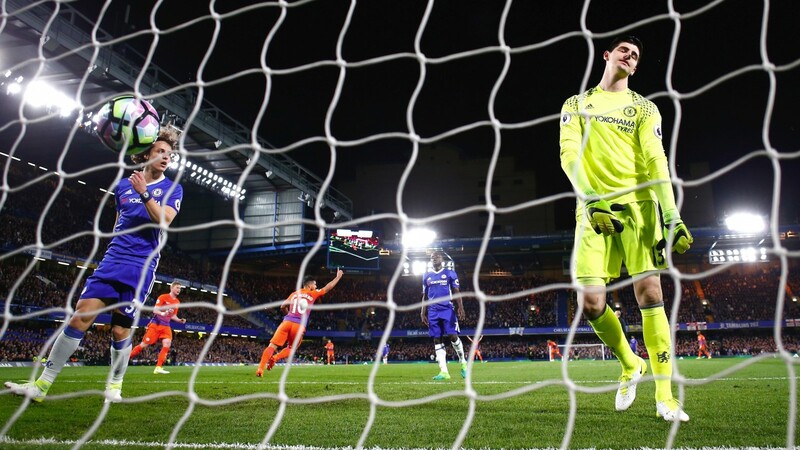 While a Thibaut Courtois error handed Manchester City a goal on a plate in Wednesday's clash at Stamford Bridge, opponents have still generally received chances and we could see that again when the Blues travel to Bournemouth. Chelsea have kept six clean sheets on the road this season but four of those came against Hull, Middlesbrough, Sunderland and Palace, all of whom head into this weekend's games in the Premier League's bottom five. The other two were against Southampton, who are ninth, and Leicester, who are 11th. Even though they have scored fewer away goals than any other team in the top six, they have found the net in all of their matches outside north London - they lost 2-0 at Tottenham in January. And as they face a team who know where the goal is at home, an offer of 10-11 about both teams scoring looks generous. Eddie Howe's team have beaten Liverpool and Everton at home, should have held on to a victory against Arsenal and drawn with Spurs at Dean Court this season. And their tally of 26 home goals is impressive when you consider that is the highest number scored by any team in the bottom half of the table, is nine more than Southampton, five more than sixth-placed Manchester United and two more than fourth-placed Manchester City. Grabbing a draw with a late Josh King goal at Liverpool on Wednesday demonstrated that the Cherries are not taking life easy - a five-match unbeaten run should go a long way towards ensuring their top-flight survival. And as they have benefited from a positive approach at home to some of the top teams in the league, that looks likely to be the tactic against the best of the lot. The Cherries are hopeful Dan Gosling can recover from the knee injury that kept him out against Liverpool on Wednesday. Junior Stanislas is doubtful and Tyrone Mings is still suspended. Victor Moses could return from a knee problem and is Antonio Conte's only injury concern.